Greeting from your new Exalted Ruler! For those of you that do not know me, my name is Travis Mechling, I am 45 years old, married, and my wife (Tanya Mechling) and I are currently raising 4 children. We live out in Avon, north of Deary, on a few acres. I am an engineer for the U.S. Forest Service and my wife is a receptionist for Moscow Medical. Many of you may already know her, she was the bookkeeper for the lodge for nearly two years. I would like to thank Corey Ray for the last two years of his positive leadership and many contributions to the lodge, as ER. I was very fortunate to serve, and learn, under his leadership as the Loyal Knight and then Leading Knight. Corey did an outstanding job with Youth Activities, promoting such events as Cocoa with Santa, the Easter Egg Hunt, the Hoop Shoot, and more. Also, I remembered two years ago, when Corey was installed he spoke of his goal of promoting social events and making the lodge a fun place to be beyond the golf course, which many of us enjoy. Corey, the Board, and Jerry Curtis have done an outstanding job at this as well. I have some big shoes to fill, but fortunately for the lodge and myself, Corey has agreed to continue to lead Youth Activities. This will help me be able to focus on my goals as the incoming ER. Two years ago, I was encouraged by Corey’s goals of promoting social events at the lodge and making the lodge a fun place to be. This is something I would like to focus on as well. Like Corey, I would like to promote social events, not only for the enjoyment of all the current members, but as a means of getting our new members involved, and recruiting new members alike. Last fall, the PERs, put on a great Oktoberfest. At the event there were many new members and some potential new members. I was encouraged to hear from them, at the event, of how they thought the lodge was a great place socialize and how much the lodge had to offer. I also, have to keep in mind, one of the reasons I was initially impressed with the lodge. I remember, Tanya, not long after she started working at the lodge, coming home and telling me about the amazing contributions that the lodge provided for the families and communities of the 2015 fires in and around Orofino, Kamiah, and Kooskia. 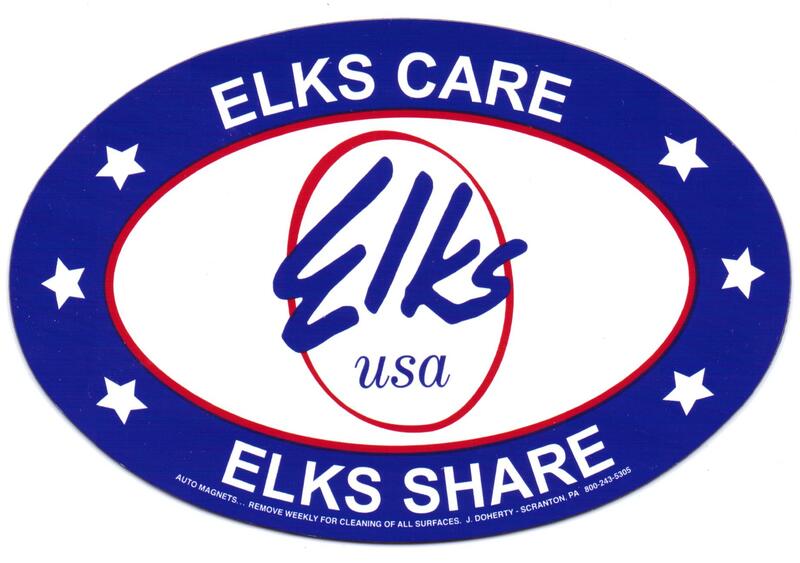 The Elks have a great history of providing to the local community. As ER I will keep this a top priority as well. In closing I would also like to thank Wayne Krauss for agreeing to be secretary for yet another year. Wayne keeps things running as they should behind the scenes, and hopefully he can keep me out of trouble. I am sure there are plenty of others that help day to day that I am leaving out. As there year goes on, I will make an effort to recognize their contributions as well. This entry was posted in bar/dining, Golf Course, Hoop Shoot, humanitarian, Lodge, volunteers, youth activities. Bookmark the permalink.